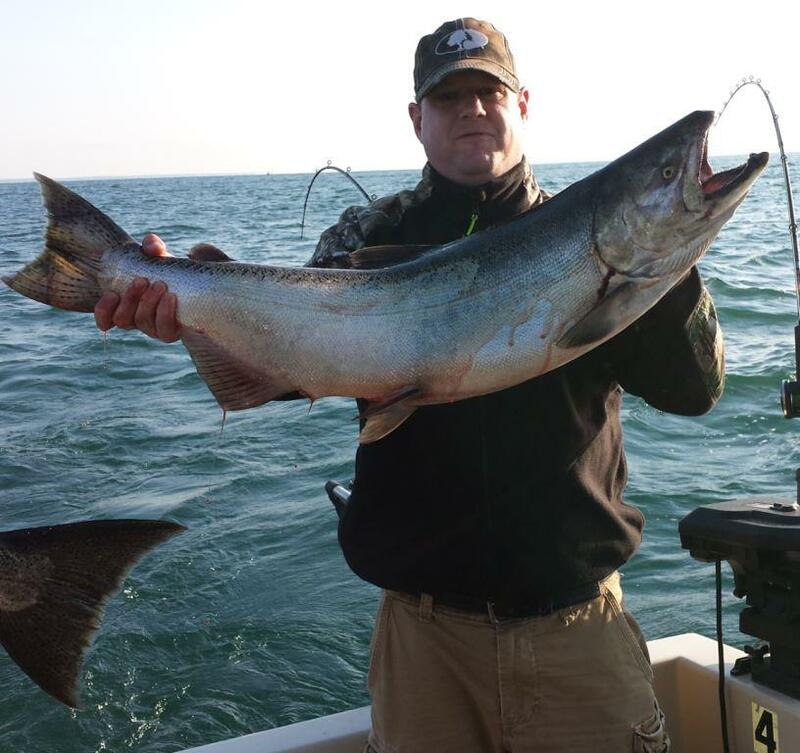 The Boys From New Jersey Limit Out On Lakers! 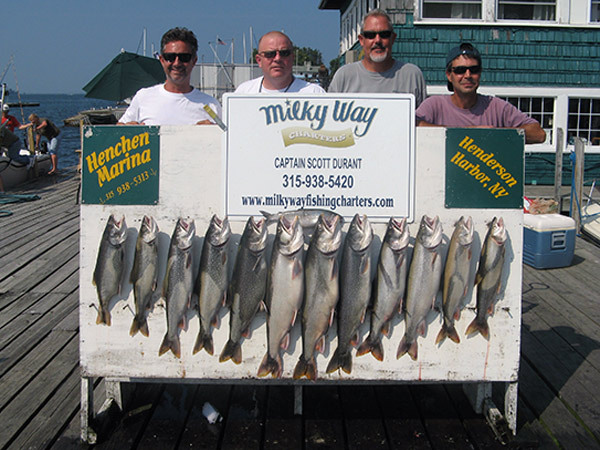 The boys from New Jersey as we like to call them, Pete, Dave, Nigel and Jimmy, returned once again to Lake Ontario to go charter fishing. And, once again, the fishing party took in a nice catch of fish, limiting out on Lake Trout. As usual the guys had fun fishing and enjoying the camaraderie aboard the Milky Way, and are ready to do it again next summer! Austin Family Has Banner Day Catching Fish! Sunday, August 30th was a great day to go fishing and that is what Michael, Danielle and Brittany Austin did aboard the Milky Way! And what a great day this family of three had! After having a great day of fishing aboard the Milky Way last summer, Jeff Koons and his party returned this summer to battle the big fish.